Jordan Scott is a Canadian poet. Jordan Scott is a poet from Comox Valley, B.C. His books include Slit, Blert, Decomp, co-authored by Stephen Collis, and Night & Ox. Scott's work has been translated into Slovenian, French and Portuguese. He served as the Simon Fraser University writer-in-residence in 2015-2016. He is the consulting editor of the Canadian indie press The Elephants. Scott was awarded the 2018 Latner Writers' Trust Poetry Prize, which is given annually to a mid-career poet who has "mastered the art of poetry." 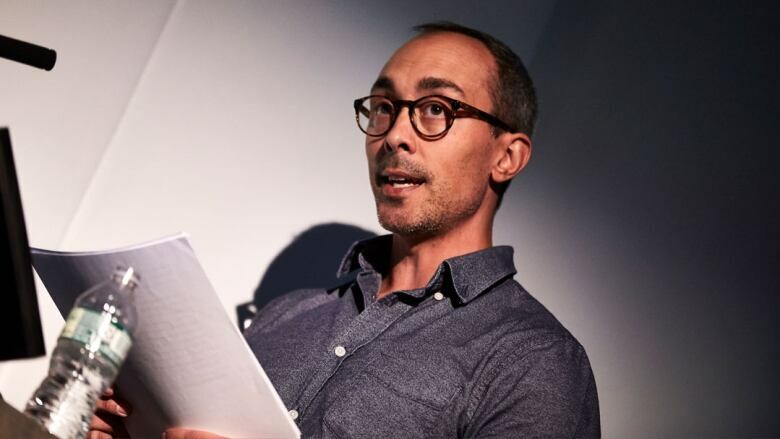 From the Latner Writers' Trust Poetry Prize jury: "Jordan Scott savours and vies not solely with the materiality of language, but languages' subjective materiality. For Scott, each context and uttering body manifests an original materiality: the precision of nature, anatomy, the names of friends, the contours of British Columbia or Poland, the daily ritualized cycles of parenthood and the cosmos."